WASHINGTON (Sputnik) - Secretary of State Mike Pompeo agreed to grant an exemption to allow the development Iran's Chabahar Port from the new Iran sanctions imposed by the United States so it can be used by Afghanistan, a State Department spokesperson told Sputnik on Tuesday. Chabahar port has been termed as ‘Golden Gate’ for India as it will open up trade access with Afghanistan, Central Asia and Eurasia. 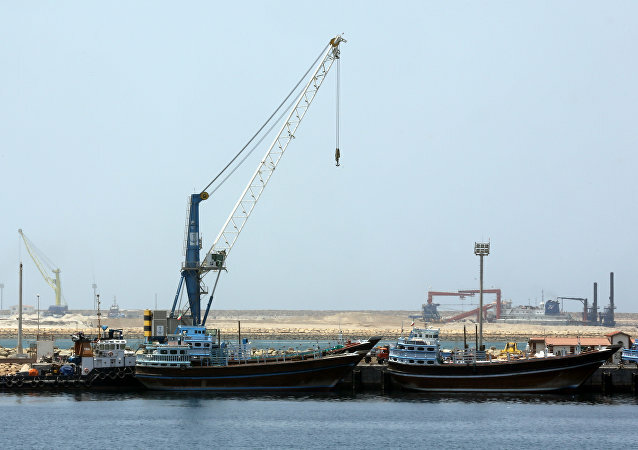 The Chabahar Port strategically bypasses Pakistan and provides India direct access to the energy-rich Persian Gulf and is part of the counter to China’s One Belt, One Road plan. India and China are involved in a race to build ports in Indian Ocean over the years. Slow action on proposal by Indian government had irked Iran last year. Now, India wants to win back confidence of Iranian government and other Indian Ocean countries through special fund allocations.